The winter of 1952 was bone-chilling enough for the Imjingang River to freeze over, a river in northern Gyeonggi-do Province that flows down and across the middle of the Korean Peninsula. At the time, the peninsula was still at war, as the Korean War had broken out in late June 1950. 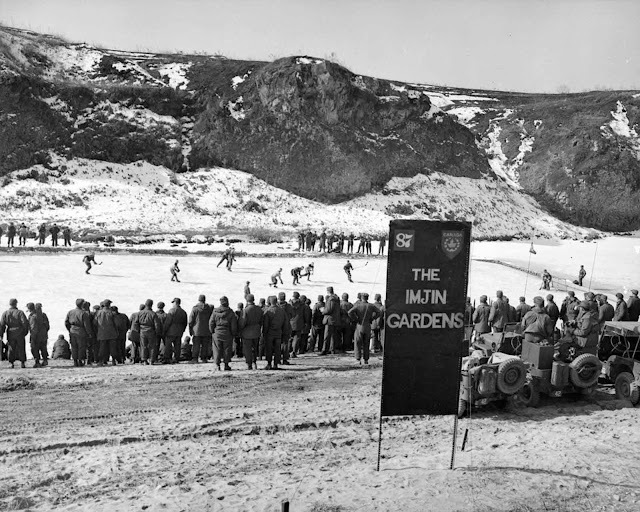 Among the U.N. forces defending the South Korean side against the North were many Canadian soldiers. They were stationed along the western front abutting the Imjingang River and they were on their guard against any intrusion from the north. A biting wind howled across the riverside, however, and almost froze the gun-toting soldiers as well as the river. The winter weather turned the river itself into a great field of ice. 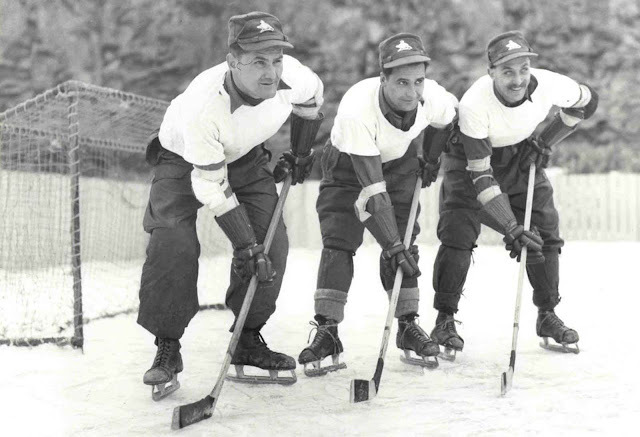 Even amid the tense situation, with battle happening at any time, the young soldiers felt the urge to take part in their traditional winter sport: ice hockey. Although the exact origins of ice hockey are much disputed, ice hockey is thought to have first developed in the 19th century in Canada. Scholars agree that the rules for ice hockey were first codified at McGill University in Montreal, in 1879. Since then, Canada has been synonymous with the sport. 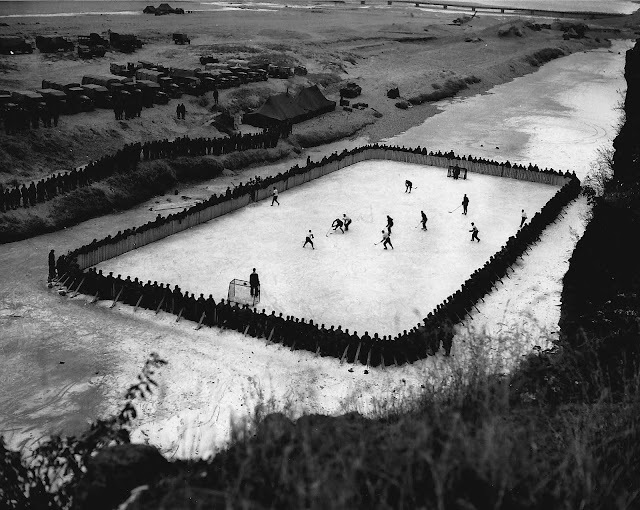 During this game, the 3rd Battalion Princess Patricias won 4-2 against the 1st Battalion of the Royal 22e Regiment. 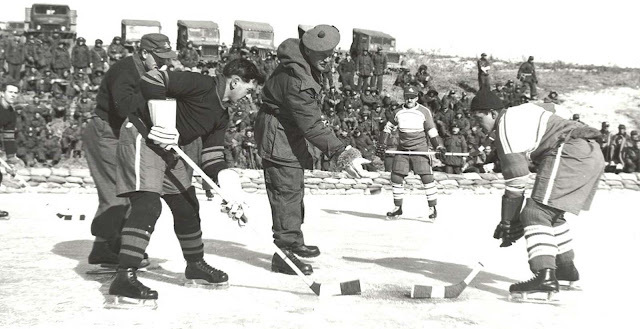 Brigadier John Rockingham drops the puck for a match between 1st Battalion, Princess Patricia’s Canadian Light Infantry (left) and 2nd Battalion, Royal 22e Regiment “Vandoos” (right) during the Korean War. Playing for the Patricias was Private W. Wolfe. For the Royal 22e Regiment, Private R. Halley. 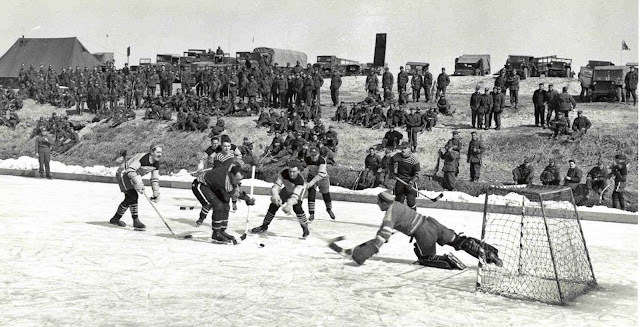 Many of these troops were surprised to find in Korea a climate not much different from that which they had left in Canada, with cold winters meaning frozen rivers where they could play their favorite sport. The matches took place “in the sound of the heavy guns of nearby U.S. Army artillery,” just a short distance from the front lines of the struggle against Communist forces, said Korean War veteran Vince Courtenay. 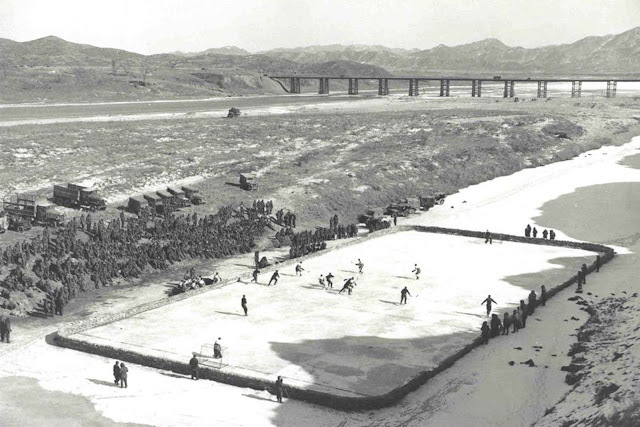 It would have been a startling sight for enemy soldiers from the hills above the Imjin River in the winters of 1952 and 1953 — Canadians fighting for the puck on shimmering ice between deadly battles for precious terrain on the Korean Peninsula at the height of the Cold War conflict.